This signature design is a masterpiece of simplicity. The clean lines and effortless minimalism emanate a panache that is characteristic of the stylish and swanky Malibu lifestyle. 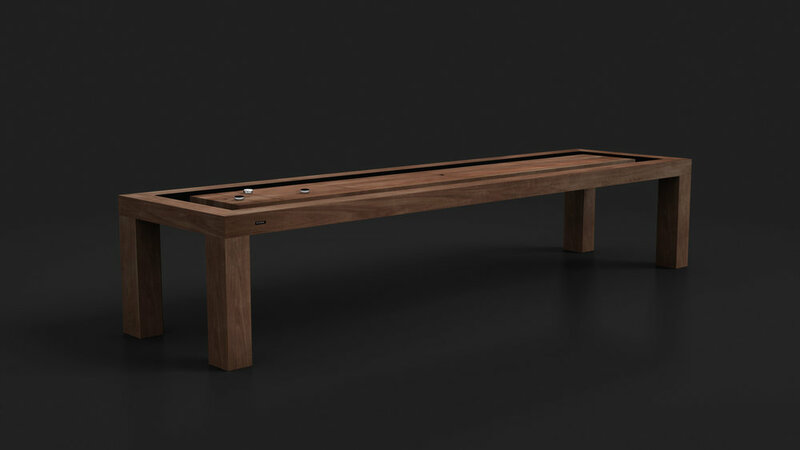 The bravura of the Malibu Shuffleboard is the essence of chic. Customization is our specialty. 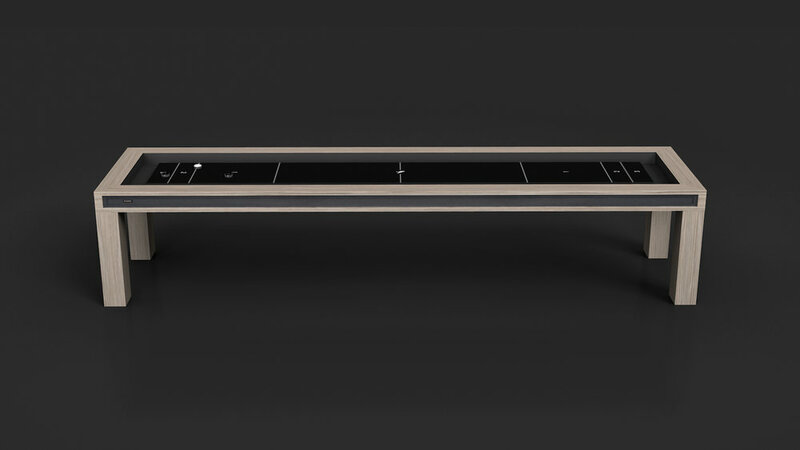 All 11 Ravens shuffleboard tables can be fully customized with your choice of lacquer, stain, veneer or laminate for the base and cradle of the table. 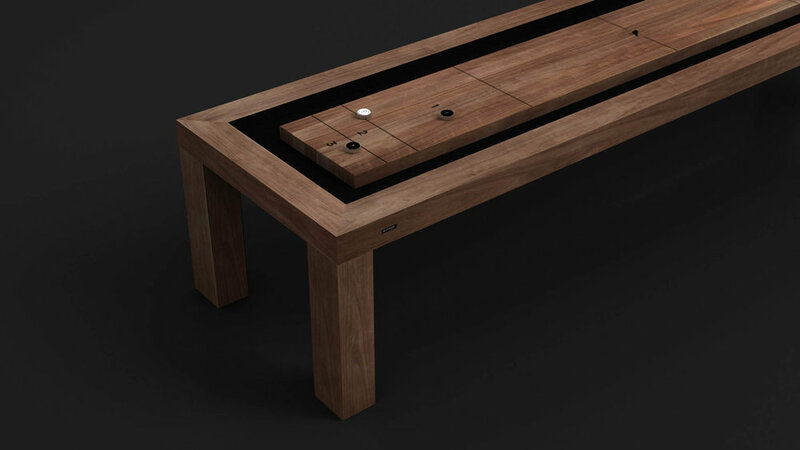 The plank color as well as the detail inside the cradle can also be customized to your liking.